Lahore is second largest city in Pakistan and often referred to as the cultural heart of Pakistan. 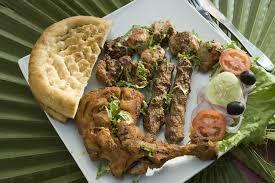 Lahore is famous city about variety of restaurants from local to International food. Lahore has incredible upscale restaurants, which provide a huge variety of cuisines. The majority restaurants are either positioned within major hotels like Pearl Continental and Avari, and great numbers of restaurants are located on MM Alam road in Gulberg.